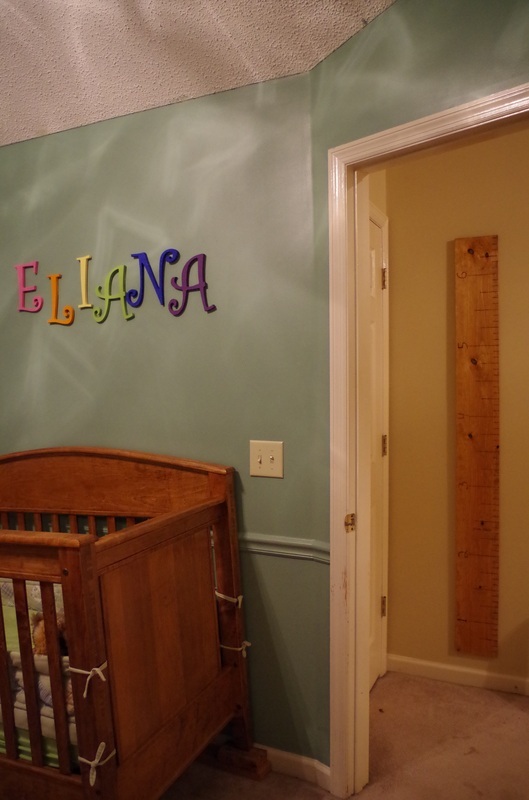 This ruler is Golden Oak and is located in the Jack & Jill bathroom that two children share. This is a ruler ready for stain. 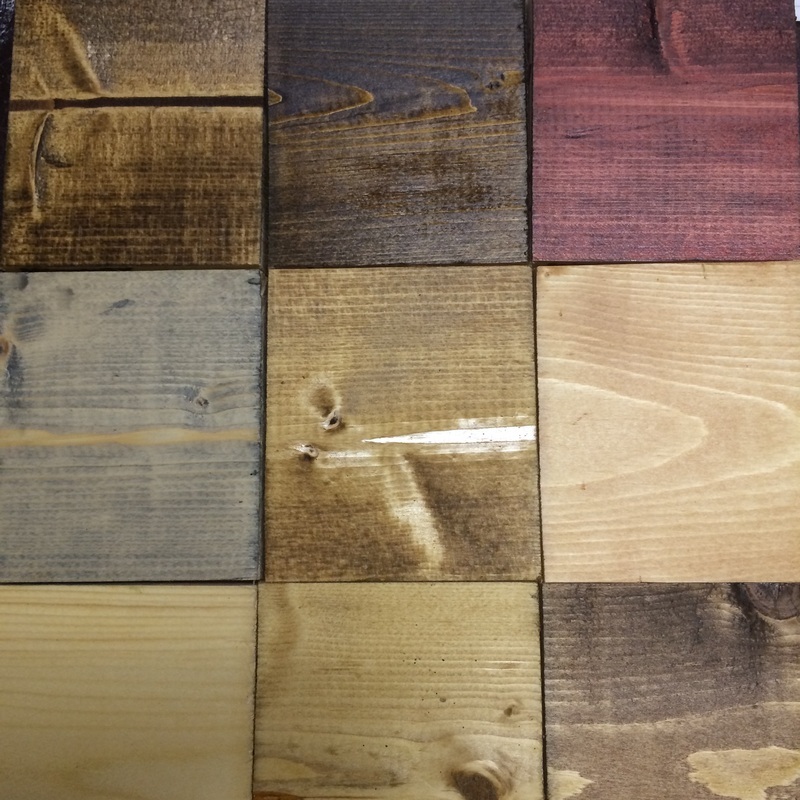 Here are our available stain options, but we are always up for acquiring new colors! 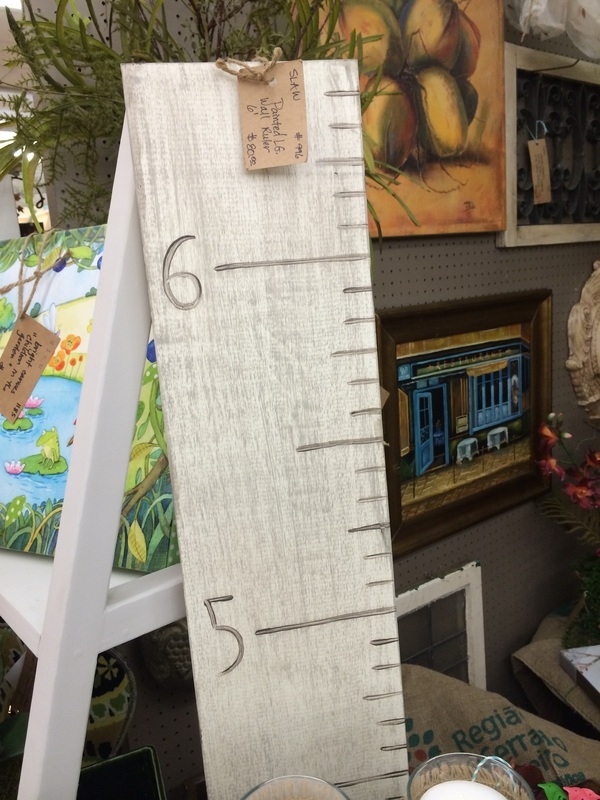 This ruler has a multi-color distressed wash with grays and cream. Like most of our head-turning items, this portable growth chart started as something we hand made and gifted to our friends and family as baby shower & birth gifts. 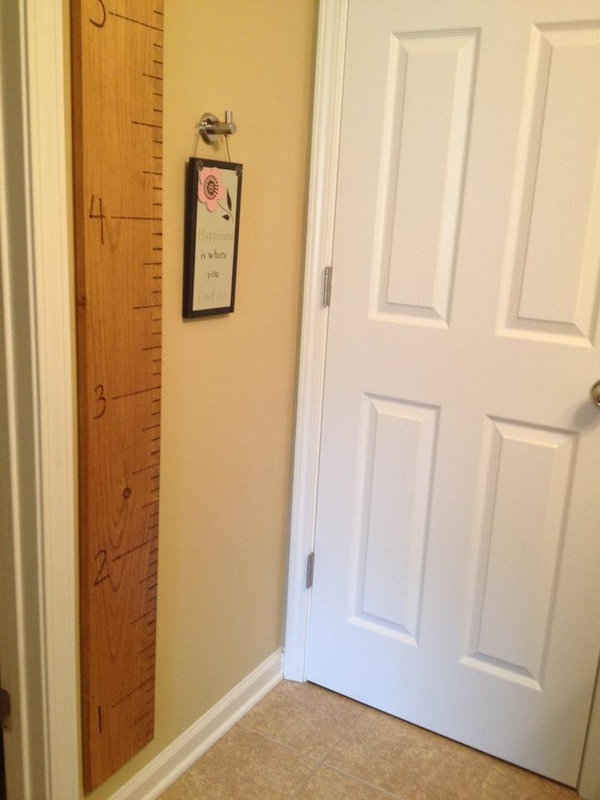 They are pretty striking, and make it where you can record your family's height progress in a place that you can take with you when you move...unlike the closet or doorway that most of us used when we were kids. We originally made them with Golden Oak stain, but we have since branched out into other stains and even paint finishes. 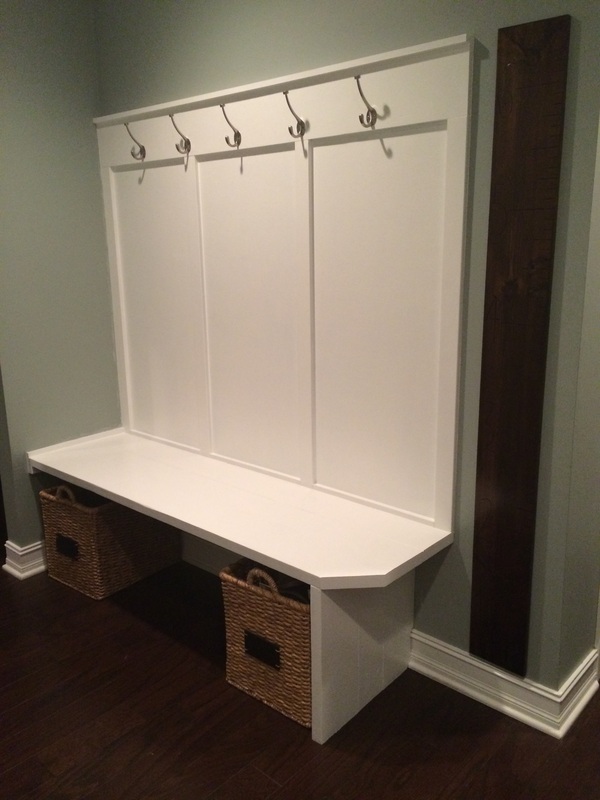 We strive to create options that suit the decor of our clients! Each ruler is approximately 6' tall. 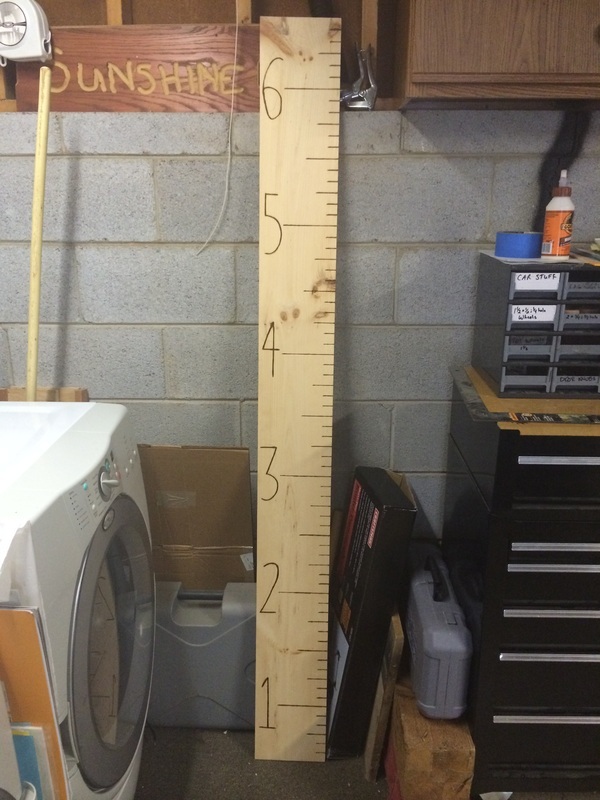 They are designed to be hung 6" from the floor, and are marked from 6" to 6'6" (if your family needs a taller ruler, just let us know and we can make that happen). All of our rulers are equipped with keyhole openings on the back so they can be hung flat on the wall with nails. The Painted Hammer built this hall bench and the accompanying ruler. This ruler is Dark Walnut. This Golden Oak ruler has the numbering turned on its side, more like an actual ruler. This ruler was hung in the hallway between the two children's bedrooms.